How do you capture new Mobile App business customers in new countries? It starts with the App stores… but it takes more to the marketing & sales mix to meet global growth objectives. 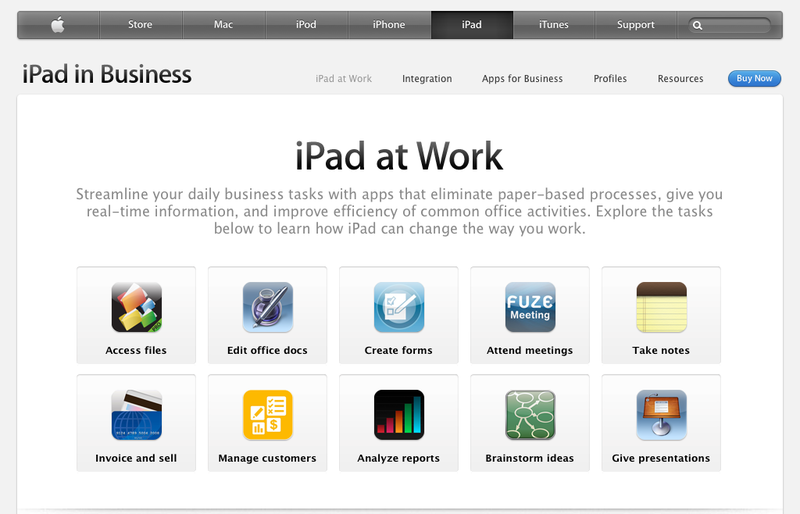 Mobile Business Apps require a sophisticated and multi-tier positioning and sales strategy to become global top players. It’s the greater mobile business App marketing plan, more precisely what you do to complement the App store marketing that makes the difference between winning and losing Apps. The App stores are crucial because they provide a global reach into world markets – literally put your App in the hands of customers at the push of a button. Anyone in the business knows the players. Three App stores lead the pack; Google Play is a great vehicle to promote your Droid App, the Apple App Store has great traffic and reasonable sales reporting abilities, and now, the Windows App Hub is becoming more popular due to the AT&T / Nokia Windows Phone launch which is rapidly is picking up steam. Positioning and marketing your solution properly is key to ensuring your App can be found in the store. Want a simple, but effective tip to boost downloads? Ensure your App is listed in the top 5 in your master category, this puts you in the golden “above the fold” on a smartphone. These “above the fold” Apps get downloaded more than their competitors, but getting there just doesn’t happen… With the proper App name, description, metadata strategy, reviews and screen shots… your App too can get above the fold. As mentioned, although the App stores are crucially important to success, they are just one component of a business mobility marketing and sales strategy you need to deploy. The growing sales and marketing channels that complement and fuel Mobile Business App buyers or subscribers are changing – mobile carriers are now playing a leading role. If your App is more is a comprehensive business service, a carrier just might be the reseller of choice. 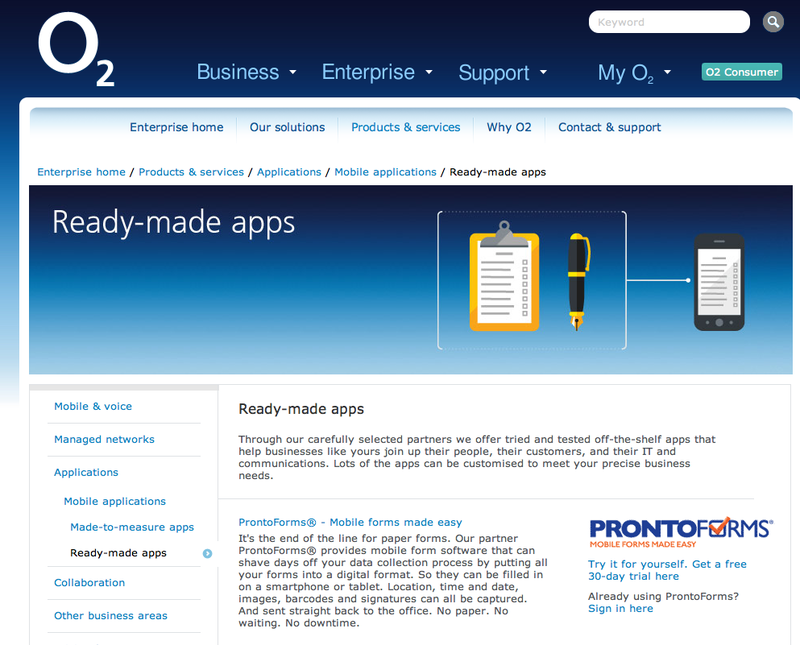 O2, part of the Telefonica family, is the newest reseller of ProntoForms, and they are utilizing our mobile business App go to market program. With added success brings added challenges. This is especially true for Toshiba America Business Solutions. One of the most recognizable company names in the world, Toshiba is a global company serving many sectors. One Toshiba division of note is the Electronic Imaging Di- vision (EID). Comprised of 2500 strong members, including field representatives across North America, Professional Services employees in this Toshiba division carry out mobile assessments on location at businesses and organizations, advising them on their current usage of various in-house electronic and imaging devices. Large enterprises and various business subsidiaries benefit immensely from the electronic expertise and recommendations that Toshiba Professional Services personnel provide. While business is great for Toshiba’s EID, its management team knew there was room for improvement. “We were using paper forms in our mobile assessments and thought that there had to be a better way to process collected data and improve results,” says Matthew Bull, Man- ager of Solutions Design and Implementation for Toshiba’s Professional Services group. Recording the location of printing and other devices through- out the premises of a business, examining floor plans and other data, this was all information that was traditionally entered into paper forms. The process of transferring this collected information and subsequently entering it into the back office system was not very efficient. Bull and his team decided to implement ProntoForms, a mo- bile forms application and solution that works on any major smartphone or tablet and with popular cloud computing services. 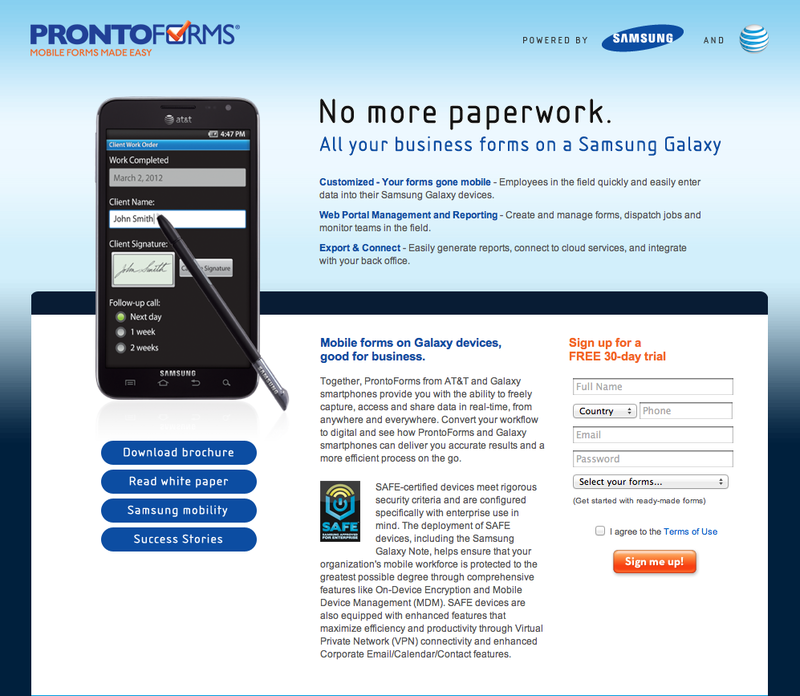 ProntoForms also ties in to any back office system. Deploying ProntoForms in the field on Toshiba tablets, Toshiba was able to significantly cut down on processing lag time. 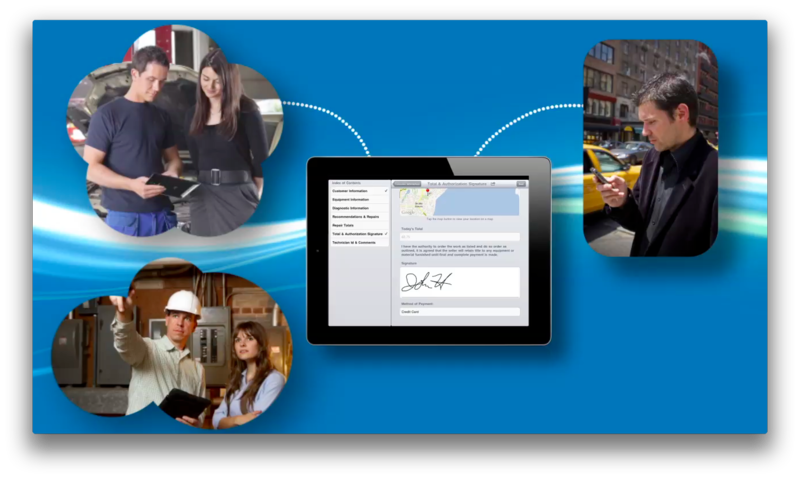 Bull and his team have taken advantage of ProntoForms features such as lookup and geo-stamp, to name a couple. As for the future, Bull is intrigued by the cloud computing options with which ProntoForms is compatible, including Google Docs.